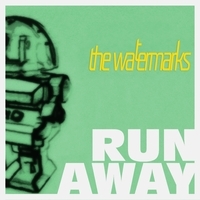 USA Texas based electronic new wave shoegaze band The Watermarks have released after two self released Ep's a brand new Ep named Run Away. This Ep sees also the new beginning for this band as they joined German well known label for dark music AF-music. Run Away will be followed by series of other single releases which will be put together into a whole album at the end of this year. The Watermarks offer pumping, driving indie/wave in a field of tension between British Sea Power and Jesus & Mary Chain, with a pinch Bloc Party and a breeze of Secret Machines. The mixture of post-punk, brit-pop and electro-rock can easily compete with notable bands out of this genres, without sounding like a copy.